Hello, how are you - Happy Easter !!! 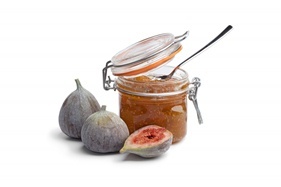 I don't remember ever having tried Fig Preserves - my problem here with the recipe is that I ABSOLUTELY CANNOT eat citrus of any kind. I guess otherwise it would be too bland !? I've never made ​​preserves in my life either .... But thanks for sharing your family recipe.